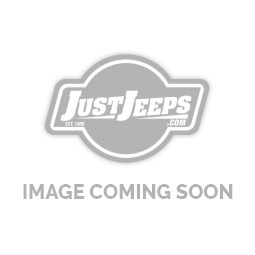 Just Jeeps Jeep Grand Cherokee WJ | Jeep Parts Store in Toronto, Canada. Unveiled at Detroit, MI Cobo Hall on June 16, 1998, the redesigned WJ 1999 Grand Cherokee shared just 127 parts with its predecessor (mostly fasteners) and took 28 months to develop from its March 1996 design freeze (styling approval in Q3 1995). The spare tire was relocated from the side of the cargo compartment to under the floor. The two heavy pushrod V8 engines were replaced by Chrysler's then-new PowerTech. New V8 engine produced less torque than the old pushrods, but was lighter, offered better fuel economy, and provided similar on road performance figures (the 23-gallon fuel tank was replaced with one of a 20.5-gallon capacity). The Inline 6 engine was also updated for MY1999. A redesign of the intake manifold added 10 horsepower (7.5 kW). While other Jeep vehicles used the Mopar 5 x 4.5 bolt circle, this was the first Jeep following the 1987 Chrysler buyout to receive a wider wheel bolt pattern: – 5 x 5 - (metric 5 x 127mm). Models include MY1999-2009 Grand Cherokee, MY2006-2009 Grand Cherokee SRT-8, WK MY2005 - 2010, WK2 MY2011 - 2016.